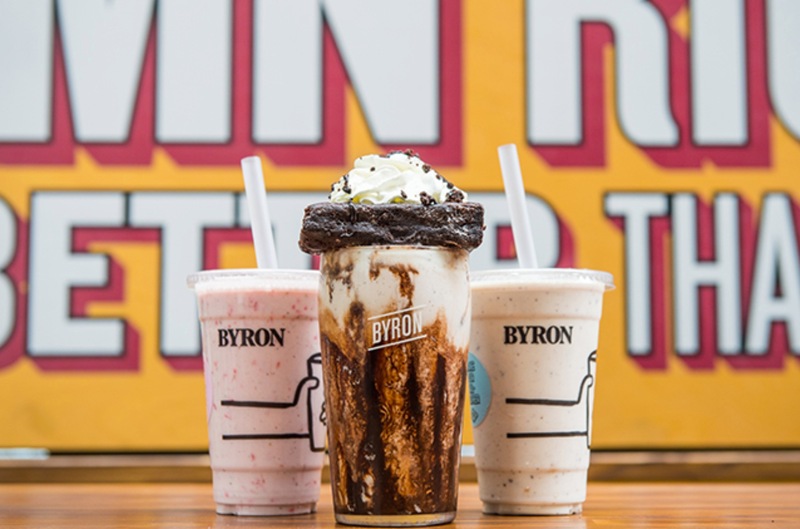 Chain eatery Byron Hamburgers has launched a range of vegan milkshakes, following the successful release of its vegan burger earlier this year. 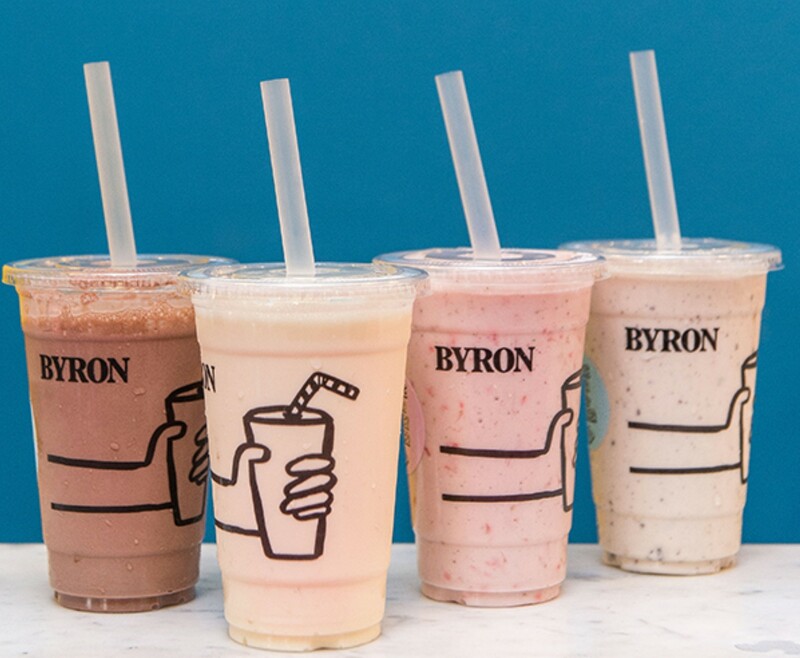 The shakes - which are being trialed at Byron's Shoreditch, Camden, Oxford Circus, Islington and Manchester restaurants - include strawberry and brownie flavors (£5.25). There is also as a 'freakshake' on offer, featuring vegan vanilla ice-cream, whipped cream, and chocolate sauce topped with a whole brownie from the Vegan Antics bakery (£8.50). Paul Mason, Head of Food at Byron, said: "Since the launch of our new menu, we're now seeing one in 10 customers choosing one of our vegan or vegetarian burgers. "The feedback we kept hearing was that our non-dairy drinking fans longed for vegan versions of our extra-thick shakes. "These new additions to the menu means that nobody need miss out."